If you want to take a break from watching the burning wrecks of cars and looting local supermarkets for their men’s only magazines, the Alamo Drafthouse would like to apologize for having their women’s only screening of Wonder Woman and starting the Manpocalypse. 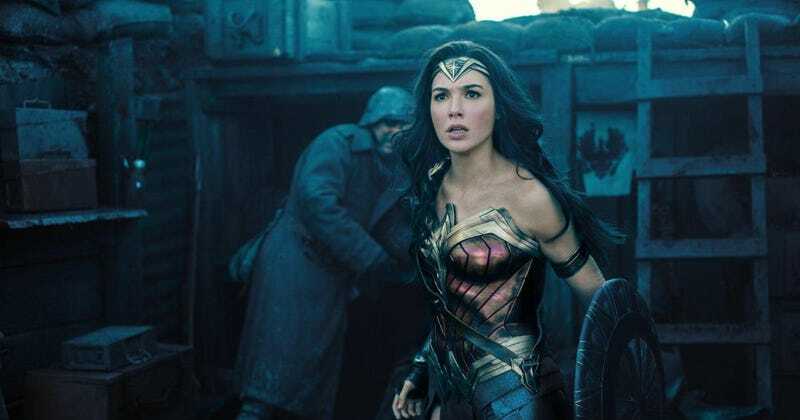 The Drafthouse representative went on to state how the beginnings of the Manpocalypse formed, during the women’s only screening as the image of Gal Gadot as Diana rose up and slit Steve Trevor’s throat, telling the women in the audience to do the same to the men in their lives. “Man’s time is over,” she said. “They have done all that they will do, all they are capable of doing.” And then she grabbed Chris Pine by the hair and slit his throat with a big double-edged axe that we’re pretty sure was not in the comics but that’s Hollywood for you. Each woman pulled a similar double-edged axe from under her seat. We do not know where they came from. We did not put them there. The Alamo Drafthouse did not arm the first Amazon Death Squad. We want to make that perfectly clear. I know this apology will probably not make up for all the damages done and lives lost — and the cancellation of Last Man Standing, of course — but it’s something.